Here are some links to comprehensive resources that you may find helpful in your homeschooling adventure. We also have more resources organized by subject and separate categories for homeschooling early learners, gifted children and children with special needs, and high schoolers. When you're done here, don't forget to check out our comprehensive curriculum resources and free homeschool materials. abcteach's free site offers over five thousand documents and a monthly newsletter to anyone who wants to stay on top of the newest materials added. abcteach's membership site offers access to an even larger selection (over 35,000 documents) of cross-curricular materials. This is a great place to create custom school calendars. Timeanddate.com offers more options than you can imagine! All Kids Network provides resources for parents, teachers and anyone who works with children. You'll find tons of kids crafts, free worksheets, kids activities, coloring pages, printable mazes and much more. Dozens of free downloadable book samples, online seminars, articles, and audio teachings from Apologia authors. You can also subscribe to their free monthly e-newsletter. Homeschooler, Jennifer Bogart, reviews the best apps for homeschooling, giving you the educational app news you need, and more. You will find apps rated and organized by grade/age, subject and cost (including FREE). Visit Apps-School for the most comprehensive listing of mobile apps for education, along with helpful rating and reviews. ArtsEdge is the Kennedy Center's free digital resource for teaching and learning in, through and about visual and performing arts. Look here for art-centered lessons, activities, and projects. Eclectic Homeschool Online has created this excellent comprehensive homeschool resource, EHO Lite, for those considering or planning to homeschool. 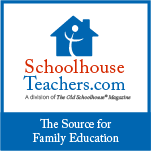 BestHomeschooling.org is full of helpful articles written for homeschoolers and other educators. The Gateway to the Internet contains links to educational sites, free homeschooling resources, fun interactive learning activities, information about homeschooling, and lots of other "homeschooling freebies! Look here for free clipart, worksheets, games, certificates, puzzles, and more. Free movies, quizzes, activities, and more to supplement your homeschool curriculum. Find free stuff on science, health, math, English, social studies, engineering and technology, and arts and music. Free and affordable educational resources for teachers and homeschoolers with math, reading, history, science and language arts printable worksheets, classroom ideas, and holiday activities. Here are all the quick, compelling one-session activities you need to incorporate interactive learning and technology into your curriculum. Each activity requires no prep and can be completed in 15-30 minutes. Copycat Books provides wholesome, educational materials for children that glorify God and to provide practical, economical resources for other busy homeschooling families. They offer free printable cursive and manuscript copywork and other free printable forms. Look here for one-click links to free classics and Grace Abounding teacher guides, content and skills guidelines, and forms, brochures & samples. Over 300 free downloadable products from Currclick--your one-stop shop for electronic lapbooks, affordable curriculum, and homeschooling resources. Unit study, novel study, bargain home study online downloads for home education! Discovery Education offers a broad range of free resources that complement and extend learning. Foster deeper engagement and opportunities for students to take charge of their own learning with high quality, engaging, relevant tools designed for today’s busy teachers and parents. Explore our programs and contests, interactive games, puzzles, lesson plans, videos and more.